homestead, she was "boarded out" with the Hill family. At an early age - probably 15, she worked for the P~ovens north of Clanwilliam who became her life long fnends. Later she worked in Minnedosa where she met Jim. They were married in 1908, living first in Min­ nedosa, then in B.C. before taking over the Koping homestead about 1915. Here they were busy not only with farming but were active in community affairs. Jim was a generous and kindly man who would help anyone who needed assistance in any way. That the home was popular can be seen by her diary. There is an occasional entry "No one was here today!" Teachers of Lund school often boarded with them and since Emma was an avid reader and Jim was interested in politics, discussions were often at a remarkably high level. Emma's father, Erik Koping also contributed from time to time, as did the many visitors. In the home, as well as Emma's parents, was Victor, her brother Reinholt's son, who was Emma's pride and joy. It nearly broke her heart when he was killed by a falling tree in 1925. He was only 20 years old. In 1926, a younger nephew arrived on the scene. Arthur made his home on the farm from time to time until his marriage in 1934. In 1943, he bought the farm, but with the understanding that as long as they wanted to live there they could do so. Jim was not well so in 1940 they disposed of their livestock and the farm was rented to August Larson, but the Turners continued to live there. Jim died in 1949, just a few months before his father-in-law, Erik Koping. After this, Emma lived on the farm only in summer, spending the winters in Erickson, Neepawa, Minnedosa or with her niece, Anna Wark, at Hilltop. But as soon as spring had sprung, she was off to her beloved "bush". This went on until she suffered a stroke in December 1974. She ended her days in Minnedosa Personal Care home November 12, 1978, nearly 94 years old. This couple left behind many friends and many have happy memories of visits in their home. 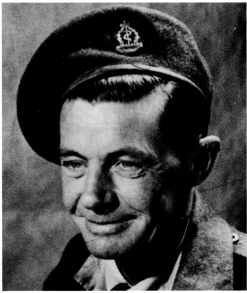 was born on November 28, 1905, in Surrey, England. 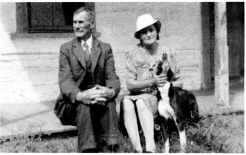 They were married on March 21st, 1925, in Watford, Herts., England, and emigrated to Canada, arriving in Minnedosa in April, 1925. They lived in several areas before finally settling in the Whirlpool district in 1932, where they were to live for over 20 years. In addition to Minnedosa, they lived near Rosetown, Sask., the Cor­ dova district in Manitoba, and Nedrob and Scandinavia districts. The home quarter, SW 3-19-18 was purchased in 1933, and over the years additional land was added as the farming operation was expanded. The farm was sold to Mr. F. Versluys and the machinery and livestock sold at an Auction Sale on March 27, 1963. They then purchased the Western Motel in Brandon which they operated from May, 1963, until August 1966: when they sold the motel and retired. Bill died December 27, 1969. Rose now resides in Scotia Towers in Brandon and is very active in the Senior Citizens' Centre and her church, and enjoys bowling and choir.